Sukku Malli Coffee has high medicinal effects. We can drink Suku coffee to treat for cold and fever. I still remember the childhood days in my grandma’s house. She used to prepare suku coffee daily . But we don’t know the medicinal effect on those days.Even we tried some tricks to escape from that 😉 interesting days 🙂 But nowadays I used to have Suku coffee on daily basis 🙂 Now off to sukku malli coffee. Suku is highly effective for digestion. We can treat this for hair that is to soak dry ginger in hot oil(Sesame oil) for 30 mins and apply in scalp before taking hair bath. Its really good for hair growth and reduce heat. Moreover it is useful for cold, weight loss etc. In our modern culture we must know about our traditional foods which has high medicinal values to treat at home. 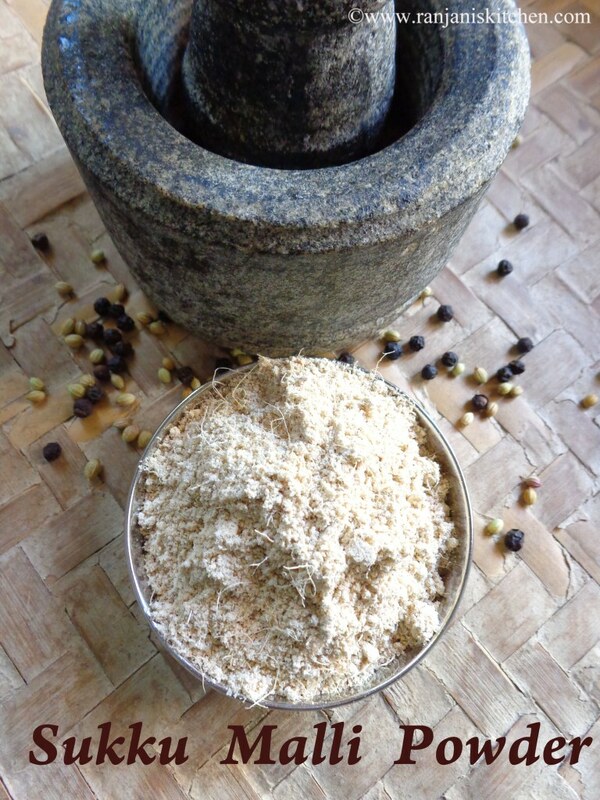 Make sukku as a powder in mixie and keep aside. 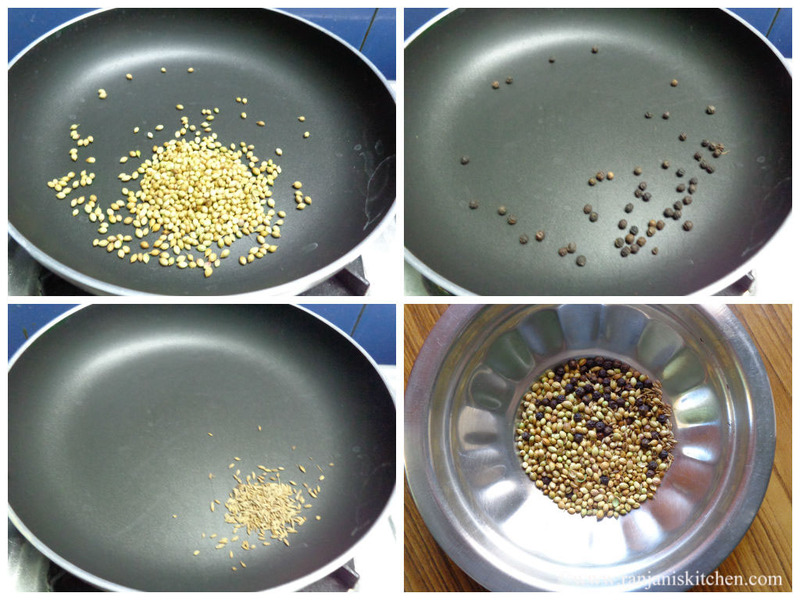 Dry roast coriander seeds,cumin seeds,and pepper corns separately. Let it cool and grind it as a powder. Mix this powder with sukku powder,blend well to mix equally and store in an airtight box.You can use it for more than 1 month. 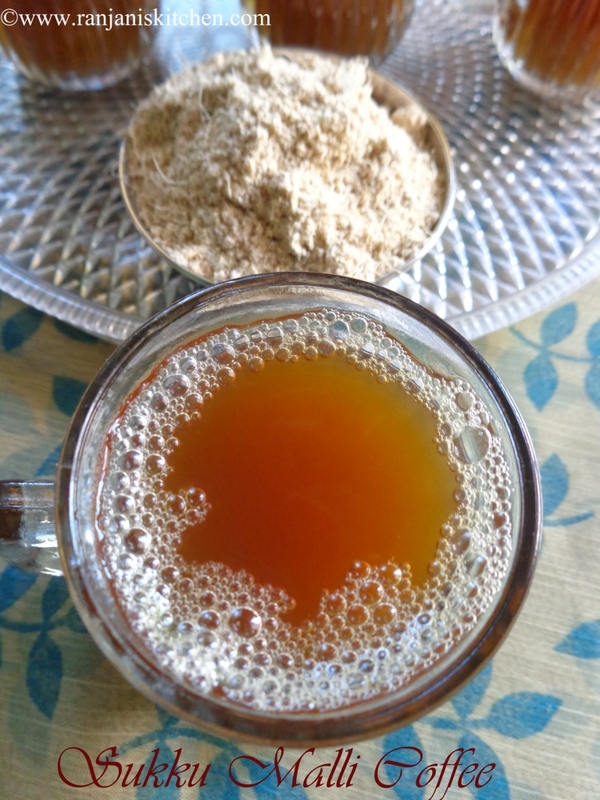 To prepare sukku malli coffee, boil 3 glasses of water,once it starts bubbles, add 2 tbsp of sukku malli powder and palm jaggery. Let it boil for 4 to 5 mins. Then drain it in a filter. Serve hot with little ghee touch. Adjust the water level for your needs while preparing sukku malli coffee. Also you can sieve this powder if you want. Adding ghee is optional alone. Instead of palm jaggery, you can add normal jaggery also. You can add crushed sitharathai(Sweet flag) to this while boiling to treat cold or fever. Hi , I have sukku powder and corrainder powder separately is it OK go use them for sukku kaapi? Or should I buy raw ones and powder them? Yes you can mix both powders..